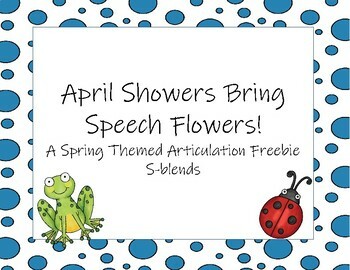 Have fun jumping into spring with this articulation freebie! 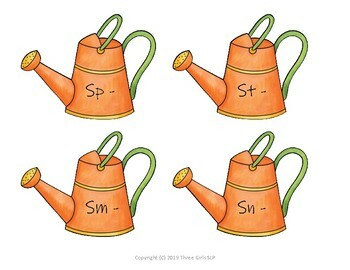 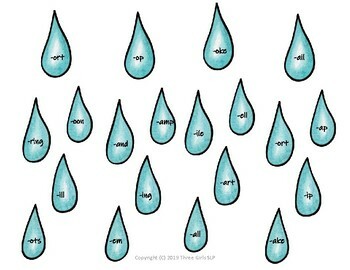 Match watering cans and water drops to make s-blend words. 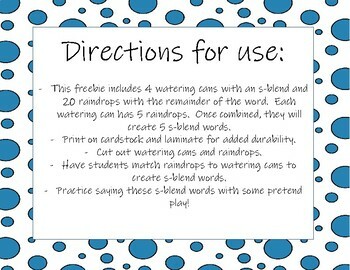 Work on articulation and have fun with some pretend play!